During the time that a mother is 16 weeks pregnant she probably had some series of prenatal visits with her doctor already. 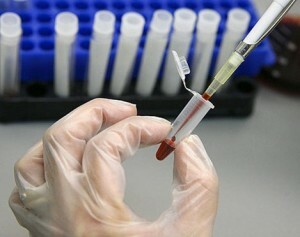 Under a standard set of medical examinations in early pregnancy, specialized blood tests are included. Just in case mothers have not done any of these exams or for some reason she have been missed, she should check it with her midwife or obstetrician. On the other hand, it is necessary of her to check her blood type, blood counts and immunity to certain diseases as well as to check her baby’s health. At this stage, mother’s baby is now approximately 4.3-4.6 centimeter long and weighs 2.8 ounces. Nevertheless, when the mother is 16 weeks pregnant it is not only the baby that will grow, but also the uterus and the placenta continue to grow to accommodate the growing baby inside her womb. It is only in the six weeks the uterus weighs about 5 ounces, now it already weighs 8.75 ounces. The amniotic fluid the surrounds the baby is also growing for about 7.5 ounces. The mother can now feel her uterus for about 3 inches below the navel. In this week it is important for the mother to have blood testing and will most likely to have an AFP ( Alpha-fetoprotein) test. Alpha-fetoprotein is a harmless blood test done to detect abnormalities of the baby such as spina bifida or Down syndrome. And also, this test is non-invasive and does not represent any risk to the developing baby. Most doctors offer the this test, but most importantly it is entirely voluntary on the part of the mother to have this test. At 16 weeks pregnant, the mammary glands of a mother begin to produce this time which cause pain and swelling in the early stage of pregnancy. Her veins will become more visible due to the increase amount of blood flowing to the breasts. A pregnant mother will have some check list to do during this stage. Like for instance, she will probably talk to her doctor about the AFP test that should be done around 16 to 18 weeks of pregnancy. She will also consider attending an infant CPR class. And if she felt any movements of her baby inside her womb, she will keep a diary about her baby’s first movement. It will also included in her check list about Nursery decorating ideas like she may be looking for a few tips to have a creative nursery for her baby, thus, this may be the most enjoyable experience a pregnant mother could have in her entire pregnancy. She may also think of having an evening out with her partner or look for something in the freezer ready recipes that can be use later in her pregnancy.